Daeg Faerch is best known to horror fans in the horror remake Halloween (2007). Faerch was cast in the Halloween remake as a young Michael Myers, performing his own stunts. Faerch’s performance as the murderous young Myers was met with positive reviews. KPBS said of the young actor: “Daeg Faerch is key in making these early scenes work. He delivers a truly chilling performance as a surprisingly sweet, soft and feminine looking ten-year-old Myers. His physical appearance contrasts with his brutal actions and it’s only in his eyes that you perceive his true nature he skates . Faerch also had a comedic role in Peter Berg’s Hancock (2008).  Daeg Faerch will be appearing at Frightmare in the Falls both days.